Posted on 12, February 2016 by EuropaWire PR Editors | This entry was posted in Denmark, Energy, Gas & Oil, Industrial, Management, Technology and tagged Dong Energy, RES Americas Developments Inc., Samuel Leupold. Bookmark the permalink. DONG Energy has agreed to take over RES Americas Developments Inc.’s (RES) more than 1000MW newly assigned development project rights off the coast of New Jersey. Fredericia, Denmark, 12-Feb-2016 — /EuropaWire/ — At the offshore wind auction held by the U.S. Department of Interior’s Bureau of Ocean Energy Management (BOEM) on November 9, 2015, RES Americas Development Inc. secured the rights to develop one of the two leases that were awarded. The lease comprises an area that could potentially accommodate more than 1000MW of offshore wind. Following approval from BOEM, the lease will be taken over by DONG Energy, the global market leader in developing, building and operating offshore wind farms. RES Americas will continue to support development of the lease area as agreed with DONG Energy. 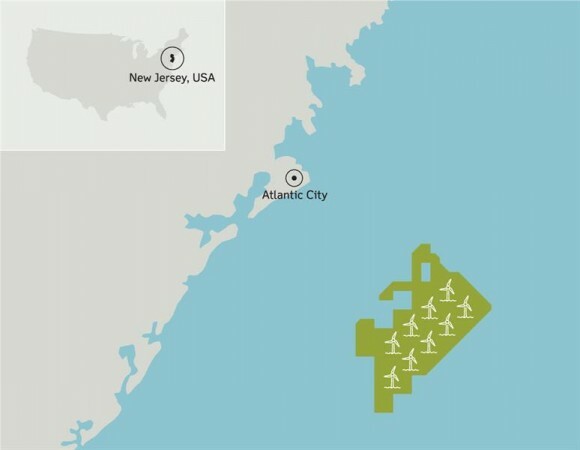 The New Jersey lease is the second U.S. lease area for DONG Energy. The acquisition of the company’s first U.S. lease area was approved by BOEM in June 2015 along the coast of Massachusetts. The New Jersey lease has a total size of 160,480 acres and is located approximately ten nautical miles offshore. The average water depth is approximately 25 meters. The New Jersey competitive lease auction was the U.S.’ ninth competitive lease sale for renewable energy in federal waters for potential offshore wind energy development. Prior to the New Jersey competitive lease auction, the Department of Interior’s BOEM had awarded nine commercial offshore wind leases, including seven through the competitive lease sale process (two in an area offshore Rhode Island-Massachusetts, another two offshore Massachusetts, two offshore Maryland and one offshore Virginia). These lease sales have generated about $14.5 million in winning bids for more than 700,000 acres in federal waters. Bay State Wind is DONG Energy’s first project in the U.S. As Bay State Wind, DONG Energy is proposing the construction and operation of a utility scale offshore windfarm off the southern coast of Cape Cod. On April 7, 2015, the Company secured newly assigned project development rights to an ocean area south of Martha’s Vineyard, Massachusetts that was made available for lease by the Bureau of Ocean Energy Management (“BOEM”) in a competitive solicitation. With water depths between 130-165 feet, this site sits approximately 15 nautical miles from the nearest landmass, Bay State Wind is proposing to use that site to build a utility scale offshore wind farm with an installed capacity of up to 1,000MW.